Is it really our private properties that are being pillaged, or is the rule of law being abandoned? 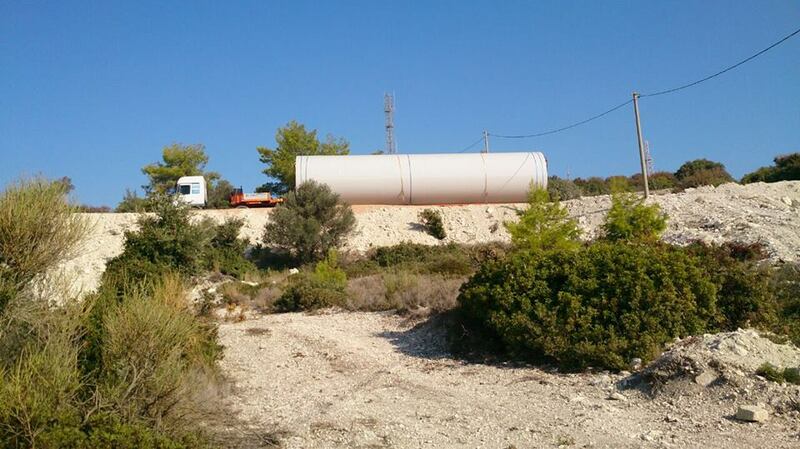 Despite the strong protests of Çeşme’s locals and the numerous court orders to stop illegal constructions of industrial wind power projects on private lands in the region, heavy equipment hauling lorries carrying Nordex supplied parts for construction of the enormous wind mills have been illegally transported through and into the contested project grounds. The section you can see in the photo on the oversized lorry is only one third of the total height of each turbine. Each turbine (Nordex Model 117/3000) stands at 140 meters tall and with a diameter of 60 meters, producing 105dB of noise, when completed. Nordex is a well known player in the wind turbine industry, and even though they are fully aware of the legal proceedings and have been informed in writing numerous times by Platform members to cease their actions, they have the audacity to stage a sneak infiltration and trespass through private lands to recklessly transport their goods to the contested project area, and to do this on what is a holy time of festivities (and public holidays), the Eid or Kurban Bayram as it’s known locally. 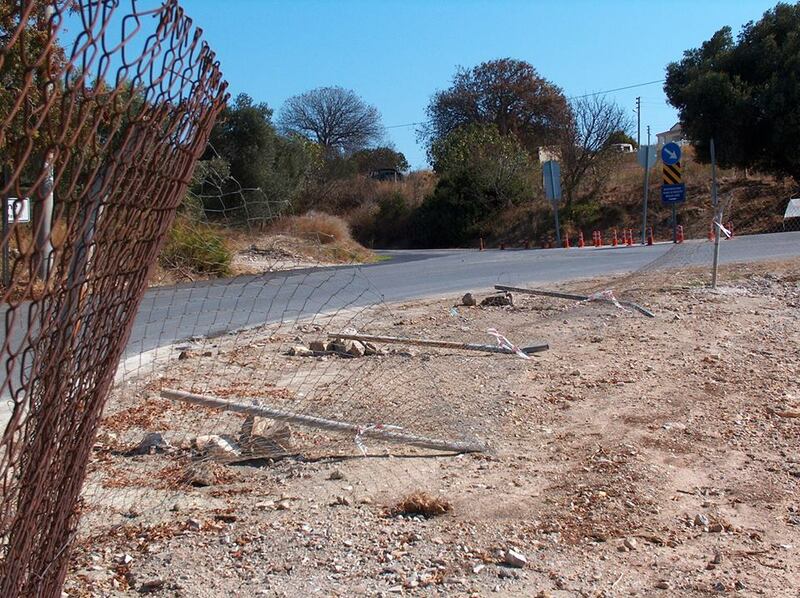 One of the investment companies in the project (rumored to be financed by German and EU funds), Turkish domiciled ABK Çeşme RES A.Ş., who’s taking delivery of the gigantic Nordex equipment in full cooperation with Nordex staff, has been reported to have directed the trucks to illegally run over the fencing and private property warning signs erected by property owners and locals who are opposed to the project. Effectively, ABK is in full disregard for the law, and the local and supreme court orders forbidding them to continue the project. ABK’s illegal incursions on the morning of 3rd October 2014, a day before the holy Eid festivities, has been fully documented by independent observers, members of the Platform, and local law enforcement. Not only is this a blatant disregard for courts decisions, it’s also a violation of international laws, the Turkish Constitution, and also a gross disregard of basic Human Rights. 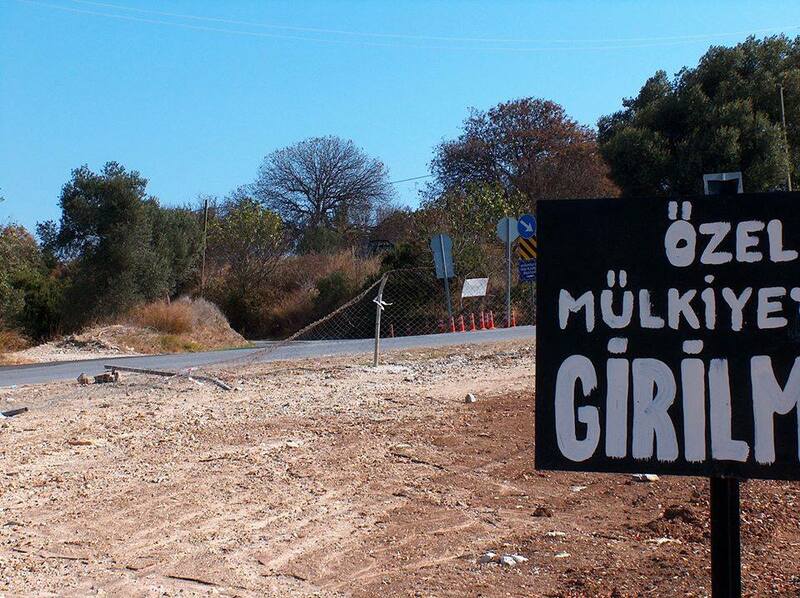 Through this kind of action, the ABK Çeşme RES A.Ş. company continues to demonstrate it’s illegal stand despite the court orders. With expropriation cases still in progress, and while the ownership of the lands remain with private individuals, ABK has illegally occupied, paved roads, and proceeded to dump tonnes of excavated earth and construction debris on locals private properties, and continues to do so. Whereas they should be expected to respect the rule of law, the decisions of the courts, and also demonstrate cooperation with the locals, they choose to take part in devious and lawless tactics to not only make progress in their illegal works, but also to expand the circle of responsibility to their financially strong suppliers like Nordex, and ensure their involvement in the liabilities that are around the corner.